This original and very practical bookworm won a design centre award in the late 1960s. 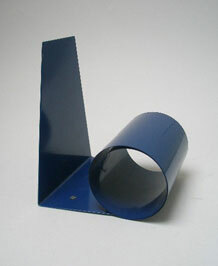 Enamelled in blue,the coil of metal expands to hold several books on your desk, window sill etc. The coil holds very tight. A very retro useful item.